All the great and true Spiritual Masters offer their devotees a tangible Spiritual Realization of a Greater Reality, and a destiny greater than merely mortal, material existence. Divine Realization Itself — Perfect Happiness Itself, Complete Awakening from the dream of mortal, limited existence — is the greatest of all human destinies, and the destiny for which every heart longs. Why settle for less than Perfect Happiness? Like all the great and true Spiritual Masters — from Gautama Buddha to Jesus of Nazareth — what Adi Da Samraj has brought into the world is not merely a new belief system or another set of spiritual techniques or religious rituals. Like the Spiritual Masters of past ages, Adi Da Samraj's primary offering is an extraordinary and very tangible Spiritual Transmission, that directly Communicates the Greater Reality Itself. When Jesus said merely "Come follow Me" to two ordinary fishermen, they dropped everything to follow Him, in response to His Transmission. When Krishna played His flute, the gopi cowherds left their cattle to follow Krishna, in response to His Transmission. When Gautama Buddha held up a flower, Kasyapa smiled, "enlightened" on the spot (thus beginning the tradition of Zen Buddhism), because of the Buddha's Transmission. Atheism is the ultimate form of denial of the Parental "God". Atheism is not founded on real observation of the ultimate facts of the universe. Rather, it is a kind of adolescent development of the human species. What characterizes the doctrine (or dogma) of atheism is not a discovery that there is no "God", but a refusal to acknowledge every kind of parent (or parent-like authority), including (therefore) the Parental "God" of childish "religion". The great and true Spiritual Masters are not merely "preachers" or charismatic (but otherwise ordinary) human beings; they are necessarily Spiritual Transmission Masters of varying degrees and kinds. Their Words simply reflect what is directly communicated by their Spiritual Transmission. Just how extraordinary Adi Da Samraj's Transmission is (and how unique is the opportunity represented by His Transmission), is something we hope will become clearer as you browse this site. Based on their reception of this Transmission (and their accompanying heart-recognition of Who the Transmitter is), otherwise ordinary human beings can enter into a Spiritual relationship with Adi Da Samraj, becoming His devotees, and practicing the Way of Adidam. Through that Spiritual relationship, their reception is deepened, first to the point of steady Communion with the Divine, and then ultimately to the point of Divine Realization Itself. In the course of practice in the Way of Adidam, the sense of being a "separate self" or "ego" is revealed to be an artifact of our own egoic activity. It is not a solid thing or structure, or some "homunculus" ("little man") or "soul" inside the body. The "separate self" is understood to be untrue (in that it is not who we really are), unnecessary (in that it is the result of an action we can stop doing in any moment), and unproductive (in that it is the source of our unhappiness, that is, our feeling of separation from the Divine and all others). For this reason, the Way of Divine Realization necessarily coincides with understanding and transcendence of "self": there is no Realization of the Divine Identity without consciously letting go of identification with all forms of "me" less than the Divine. The practice of Adidam has many details, even as there are many aspects in the human life and body-mind to be transformed (diet, meditation, intimacies, work, etc.). But the heart of the devotee's practice is the devotional and Spiritual relationship with Adi Da Samraj. The purpose of all the "secondary" practices is to bring one's life and body-mind into greater balance, freeing up increasingly greater energy and attention for the devotional and Spiritual relationship. Put another way, the purpose of all the disciplines is to transform every moment in life — whether one is eating, sexing, meditating, doing business, or whatever — into Divine Communion. All Spiritual Transmission Masters enable their devotees to realize Something Greater: a Spiritual Realization that is happier than the usual worldly destiny. But the revelation of Adidam is Divine Realization — Perfect Happiness. The Avataric Great Sage, Adi Da Samraj, is not only a great and true Spiritual Master; He is the Divine in human form, fully incarnating here in Person. Only the Divine in Person can Awaken individuals to their Divine Nature. Who is Adi Da Samraj? 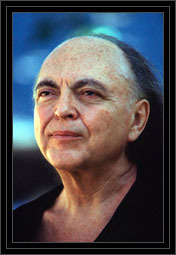 Avatar Adi Da's Transmission-Power moved into the room where we were seated with Him face-to-face. The Brightness of His Divine Light infiltrated the space with Luminosity, so that the walls, the objects, and persons became visibly Brightened by His Spiritual Power. The differentiation between objects loosened, such that Reality was clearly a Field of Divine Light rather than a field of apparently separate material objects. Beloved Adi Da was revealing to us the Truth that matter equals energy equals Light and that His All-Pervading Divine Spiritual Presence is the Very Substance and Nature of That Light. Again and again, as He spoke or sat silently, His own Spiritual Person Flooded into our body-minds and drew us into this Sea of Divine Light. He was penetrating the body-mind to the toes, permeating every cell with His Love-Blissful Radiance. Then, within this Sphere of Brightening, Avatar Adi Da revealed the Secret of the Non-'Difference' between Consciousness and Energy (or Light). Suddenly, not only Avatar Adi Da, but the room, the objects, the persons, and the entire pattern of arising appeared as a Field of Light, and was recognized to be Conscious Light, Self-Existing and Self-Radiant Consciousness Itself. Living, as we do, in a materialistic culture — in which doing something "spiritual" competes side by side with going to a good movie for what to do on a Saturday night, and in which both are just as easily forgotten for the next experience — most of us will have many questions and doubts about a genuine and serious Spiritual life, ranging from: "But does God and a Greater Reality even exist?" to "What is Spiritual Transmission?" to "What exactly is a Spiritual Master?" to "What will I have to give up to do this practice?" 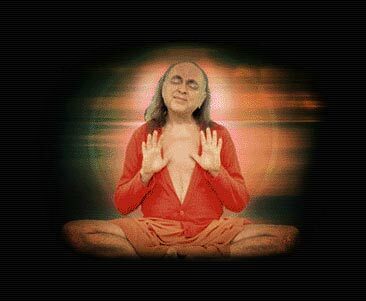 This website is aimed at addressing some of those basic questions, as well as clarifying and fleshing out who Adi Da Samraj is, and the extraordinary opportunity of a devotional and Spiritual relationship with Avatar Adi Da Samraj. But always prior to all of these questions of the mind is a fundamental question of the heart, as it yearns for Perfect Happiness. And that "question" can only be completely satisfied by Perfect Happiness Itself. The heart has a question. The heart must be Satisfied. there is no Real Happiness. And that is why Adi Da Samraj is here: to help every one of us Realize Perfect Happiness. How Could I Deny Heart-Vision To My Loved-One? How Could I Delay The Course Of My Beloved? Like An Intimate Family Servant, I Dearly Serve My Devotee. Like A Wealthy Friend, I Freely Give To My Devotee. Like A Mad Priest, I Even Worship My Devotee, With Love Itself. Like An Innocent Boy At First Love, I Would Awaken My Devotee In Radiant Chambers. Where The Wound Of Love Churns and Never Heals, I Wait, Longing To Celebrate The Brilliant Sight Of My Devotee. Come Slowly or Quickly, but Surely Come To Me. Touch My Divine Heart, and I Will Widen You To God-Knows-Where. . . . Given such an opportunity. . . what will you do? A New Spiritual Tradition (video) — by Dr. Jonathan Condit, formerly an ordained Buddhist monk, now Senior Manuscript Editor for Avatar Adi Da Samraj. Blessing Darshan (slide show) — Slide Show of Avatar Adi Da's visit to Northern California and Fiji, during the second half of 2005. RECEIVE A FREE CD: The Liberating Word of Avatar Adi Da Samraj — A collection of nine excerpts from Talks given by Avatar Adi Da, exemplifying some of the principal facets of His Wisdom-Teaching. Topics include: radical understanding of the ego, the devotional relationship to the Spiritual Master, the lesson of life, the true nature of God, a criticism of scientific materialism, His Divine Self-Confession, and more. In Love and Blessings: The Divine Compassionate Miracles of Avatar Adi Da Samraj, twenty-five of His devotees tell heart-breaking stories of human need and Divine Response. A soldier in Iraq, a woman going blind in Holland, a son with his dying father in Australia, a woman with cancer in America — these and others tell how they asked Adi Da Samraj for His Blessing-Regard and the miraculous process that ensued. THE KNEE OF LISTENING has transformed the lives of thousands of secular and religious seekers since it was first published in 1972. Avatar Adi Da’s Spiritual Autobiography — in this greatly expanded new edition — tells the miraculous story of His unique Incarnation and Revelation in the West for the sake of Liberating all beings. This award-winning site is brought to you by The Practical Spirituality Press, out of appreciation for the extraordinary gift of Adidam, created by Avatar Adi Da Samraj for the Spiritual benefit of all beings. The purpose of this site is to provide easily accessible information about Adidam for interested newcomers.